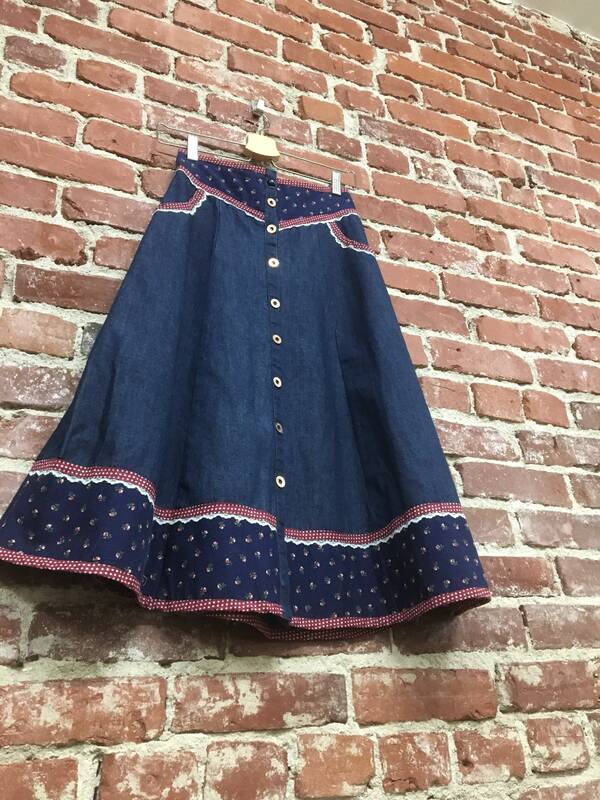 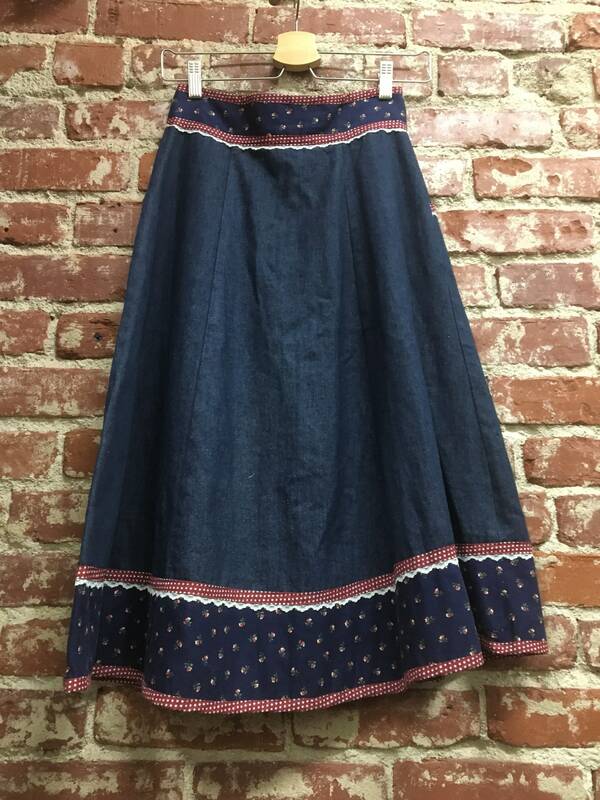 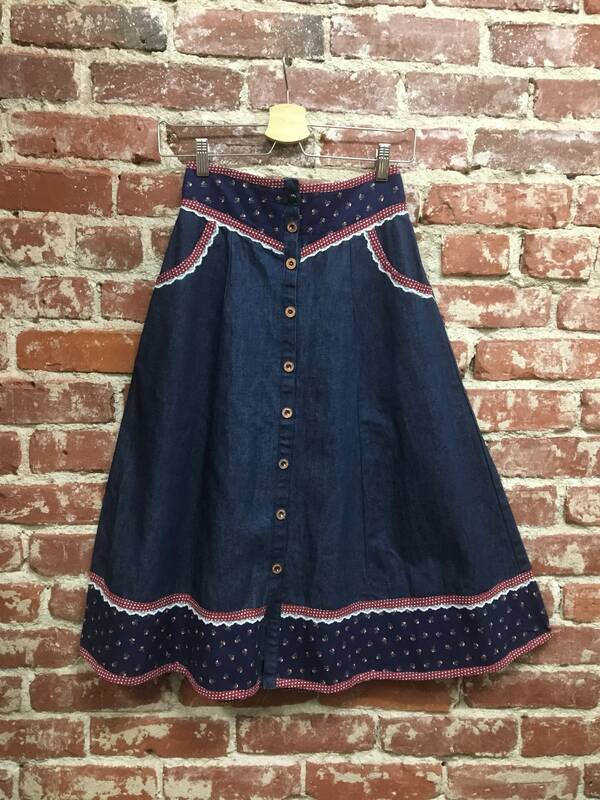 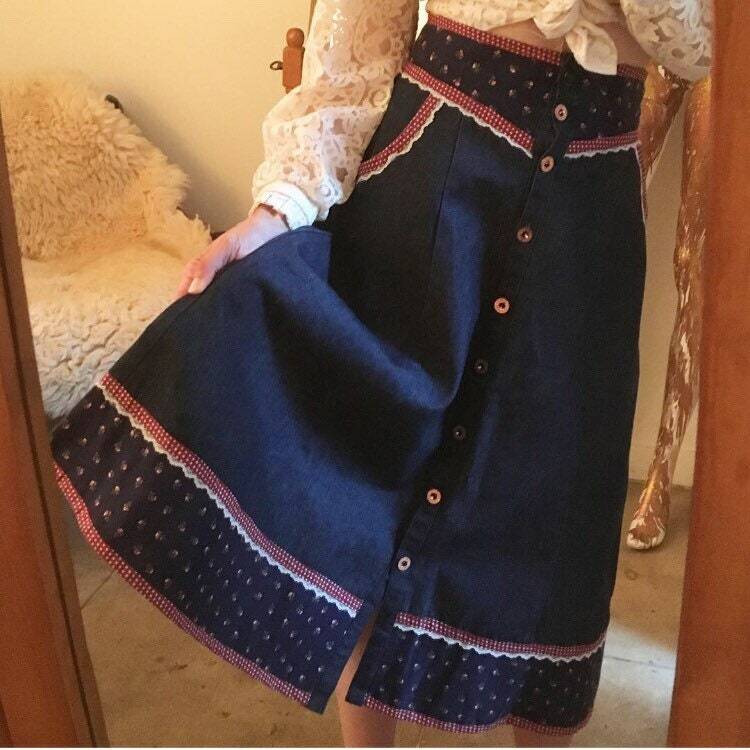 Incredibly pretty and rare seventies denim Gunne Sax skirt! 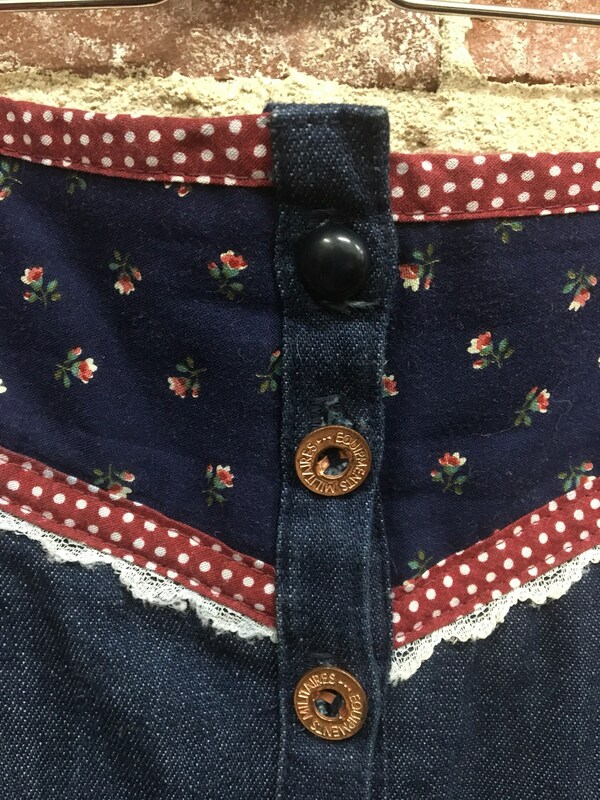 Beautiful flowers and polka dot trim. 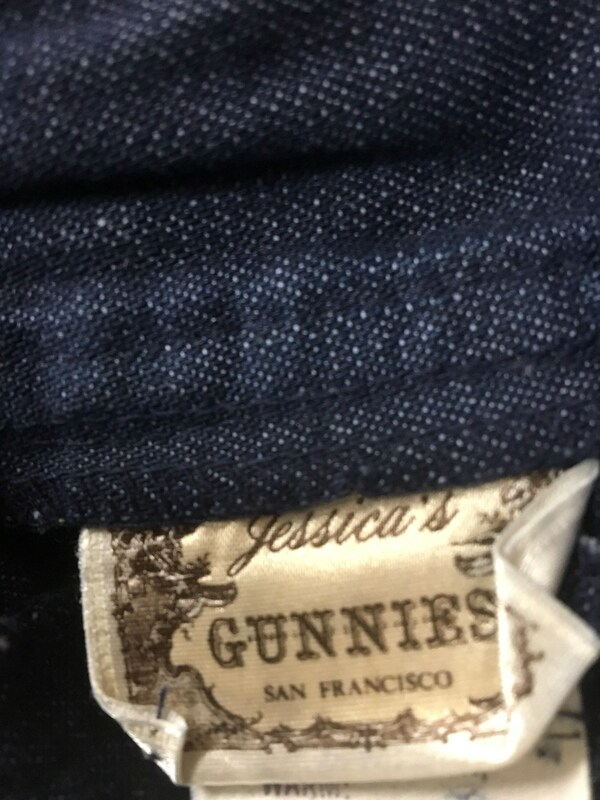 Feels like it’s never been worn. 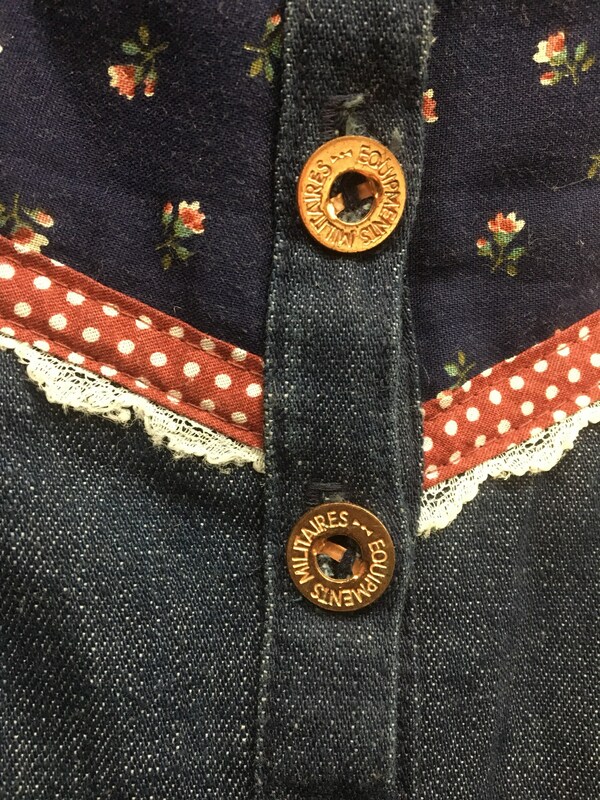 *top button has been replaced as shown in photo. 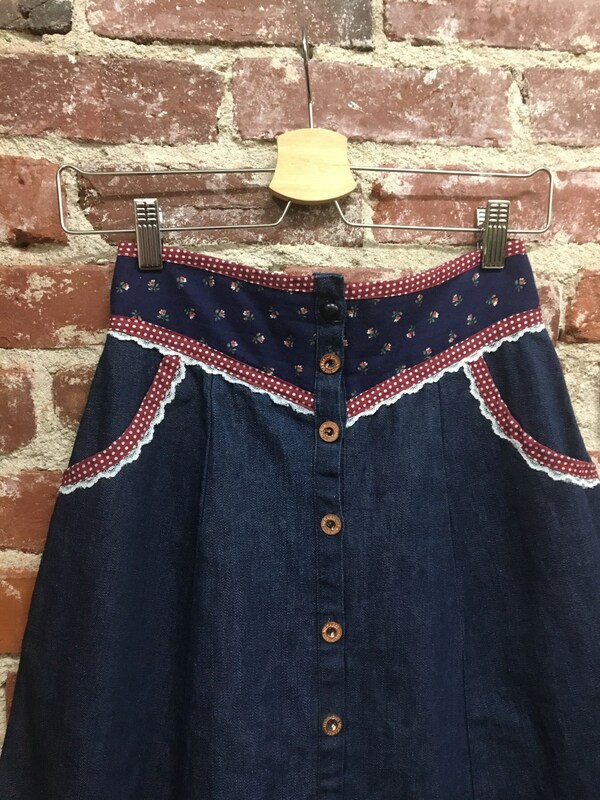 This is a Gunne Sax skirt to wear all summer with sandals. 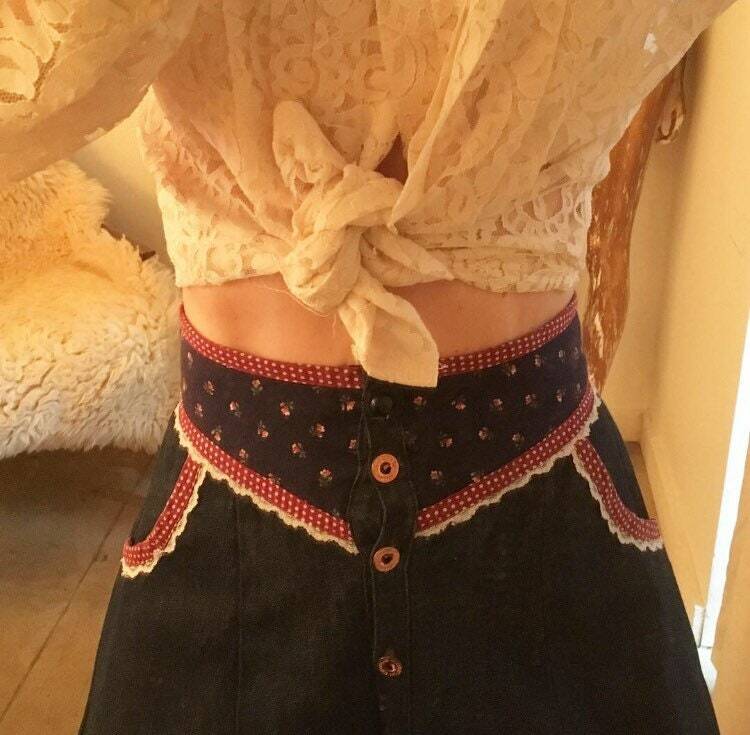 Winter with knee high boots. 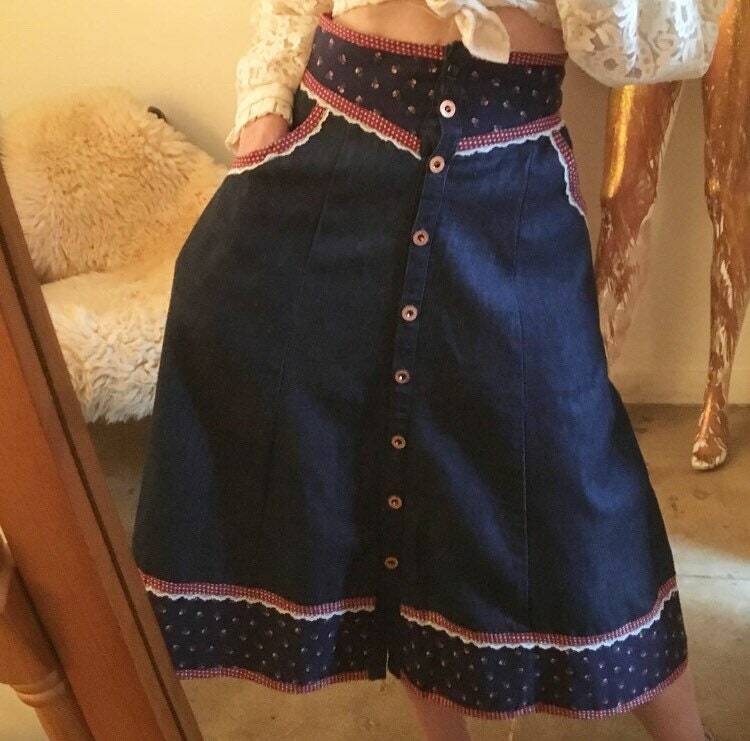 76” circumference of beautiful hem.